Oklahoma is being pummelled by earthquakes, a phenomenon scientists have strongly tied to wastewater injection and the practice of fracking. Over the course of a few days in August, Oklahoma was pummelled by seven earthquakes. Hydraulic fracturing, more commonly known as fracking, involves jamming water deep into the Earth’s layers of rocks to force open crevices and extract the oil or gas buried inside. For several years, researchers have shown a link between wastewater injection, a process that’s used to dispose of waste fluids from a number of industrial activities and is similar to fracking, and the incidence of earthquakes in a region, but a new study highlights just how strong that connection is. The researchers were confident enough in their assertions to make a recommendation:”Reducing the depth of injections could significantly reduce the likelihood of larger, damaging earthquakes,” Thomas Gernon, an associate professor of earth science at the University of Southampton, wrote in an article for The Conversation. Until recently, earthquakes in Oklahoma were few and far between. 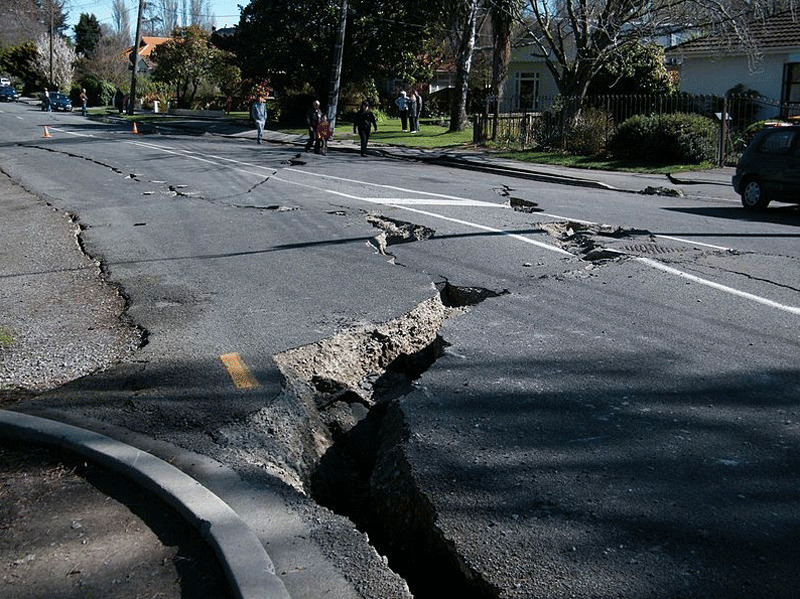 In 2010, the state experienced just 41 tremors. By comparison, Southern California has about 10,000earthquakes each year. 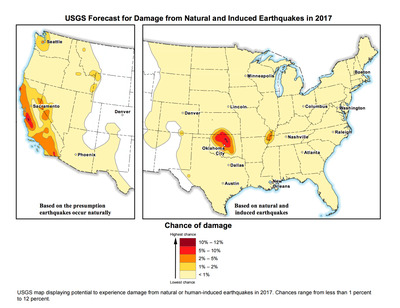 “The chance of having Modified Mercalli Intensity VI or greater (damaging earthquake shaking) is 5-12% per year in north-central Oklahoma and southern Kansas, similar to the chance of damage caused by natural earthquakes at sites in parts of California,” the forecast reads. Over the past few years, Oklahoma has weathered hundreds of significant quakes – more than 900 in 2015 alone, according to The Conversation – as have parts of several other Midwestern states. The region is replete with eons-old fault lines that went quiet long ago, but wastewater operations appear to be re-awakening some of those faults.